Finland balances its own economic interests and commitment to human rights as President Sauli Niinistö makes a state visit to China. 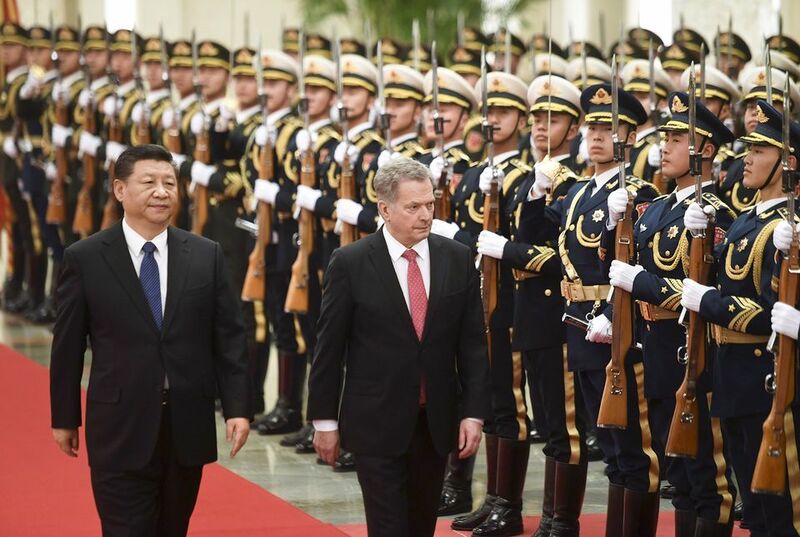 Monday's meeting is the third rendezvous between President Sauli Niinistö and Chinese President Xi Jinping. Niinistö opened a climate seminar and will meet with Prime Minister Li Keqiang and speaker of China's national congress Li Zhanshu. Niinistö was accompanied by Foreign Trade and Development Minister Anne-Mari Virolainen, European Affairs, Culture and Sports Minister Sampo Terho and a business delegation of 100. Their last meeting in Helsinki in April 2017 was characterised by panda diplomacy. 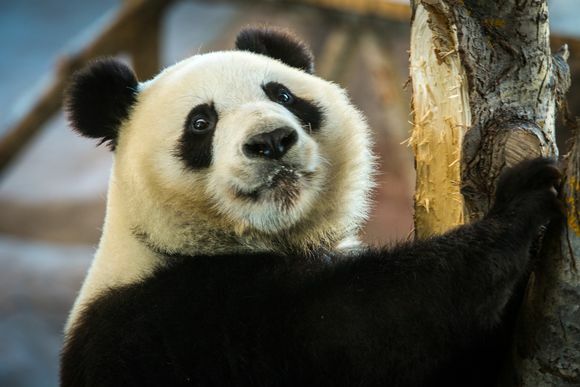 China gifted Finland a pair of giant pandas to celebrate its 100th birthday. At the time Finland re-affirmed its commitment to the 'one China' policy, meaning that Finland officially recognises the People's Republic of China—not Taiwan. Giant pandas Lumi and Pyry (officially Jin Baobao and Hua Bao) arrived at Ähtäri Zoo in early 2018. Finland has not had a particularly good relationship with China, Jyrki Kallio, a senior researcher at the Finnish Institute of International Affairs (FIIA), told Yle, saying that Finland’s ties with the world's most populous country are not unique in any way. At the end of last year, Finland was party to a letter by 15 Western ambassadors demanding that China explain its persecution against the country’s Uighur minority. Meanwhile the timing of this week's trip makes Niinistö one of the first European leaders to meet Xi after news broke of ’re-education’ internment camps for Uighur Muslims, something China has previously denied. In this light, Kallio said he believed the world’s eyes will be on the topics broached by Niinistö. Finland’s Foreign Ministry has highlighted the plight of China’s Uighur minority, and Kallio expects Niinistö may bring up the issue. On Xi's last visit to Finland, Niinistö faced criticism for playing to China’s tune. The Finnish president did not host a press conference following his powwow with Xi, which would have given the press an opportunity to unpack the contents of the meeting. China is easily offended, according to Kallio. He said China cooled on Sweden after the Dalai Lama's visit there, and Norway fell out of favour after its Nobel committee in 2010 awarded the peace prize to Chinese dissident Liu Xiaobo. China is an economic powerhouse with many countries vying for a piece of the action. That said, Finland faces balancing its own financial interests with its image as a human rights champion. In China, Niinistö and his wife, Jenni Haukio, will attend the opening of the China-Finland Winter Sports Year, an idea born out of Xi’s and Niinistö’s 2017 meeting to "dedicate a theme year to winter sports between the two countries".